We’d love your help. Let us know what’s wrong with this preview of Diamond Head by Cecily Wong. Now the Leong’s survival rests with young Theresa, Frank Leong’s only grandchild, eighteen and pregnant, the heir apparent to her ancestors’ punishing knots. To ask other readers questions about Diamond Head, please sign up. Cecily Wong has accomplished one complex and intricate family saga. One family cursed by fate or by their own agency, as the story unravels, tradition and culture delved, you consider the root cause of trials and tribulations this family suffered as well as endured. Wong managed to pique my curiosity from the beginning, I couldn’t wait for secrets to be revealed, drama to unfold, betrayals discovered, the most unsuspecting exposed, motivations examined. Quite a narrative is weaved with intriguing Cecily Wong has accomplished one complex and intricate family saga. One family cursed by fate or by their own agency, as the story unravels, tradition and culture delved, you consider the root cause of trials and tribulations this family suffered as well as endured. Wong managed to pique my curiosity from the beginning, I couldn’t wait for secrets to be revealed, drama to unfold, betrayals discovered, the most unsuspecting exposed, motivations examined. Quite a narrative is weaved with intriguing female protagonists telling their version of events, family history, new revelations. Kudos to Wong for exposing the calm and strength of the women serving as the cog of the narrative. Wonderful historical aspects added to the setting and building blocks of both plot and characters. The peruser is given insight into Chinese culture which serves a large focus of the narrative. As much as I enjoyed the book the ending was a major letdown for me, it was obvious the direction the ending was taking, predictability ruinous. This book is like a memoir of three different women. There's the eldest, who is rescued from an abusive father and marries a wealthy man who takes her from China to Hawaii. There's the middle, the poor girl who marries into the wealthy family, rising from a room in a basement that she shares with ten other children. And there's the youngest, pregnant and unmarried in the sixties--who didn't interest me at all because the book took too long to get to her story. All the stories I did read could hav This book is like a memoir of three different women. There's the eldest, who is rescued from an abusive father and marries a wealthy man who takes her from China to Hawaii. There's the middle, the poor girl who marries into the wealthy family, rising from a room in a basement that she shares with ten other children. And there's the youngest, pregnant and unmarried in the sixties--who didn't interest me at all because the book took too long to get to her story. All the stories I did read could have been fascinating, but the narrative style rather ruined it all for me. The fascinating parts were told quickly--such as Hong's tale and the elder's tale of rescue. Hong was the most interesting to me, but she was only briefly there. Her bit was so intriguing, it could be a novel itself. I was disappointed her tale was told and then over so fast. The problem I had with the narrative is that it goes all over the place, from person to person, China to Hawaii, time period to time period. And it's not always a smooth transition. Besides that, the first person narratives are more telling than showing. The third person would have worked fine but it was used solely for the present-tense parts, the funeral, which was not interesting. There are secrets, about love, finances, babies, wives...but they are revealed so late, I'd lost interest by that point. The book is longer than it needs to be, more wordy that necessary, and while I appreciated that the novel tries to show bits of different cultures--Chinese and Hawaiian--it was overdescriptive to the point of boredom. I was very skeptical about this book because of the mixed reviews, but I am so glad I didn’t heed the advice of the negative reviewers. Wong is a masterful storyteller and her language is pristine. The descriptive prowess in this book is overpowering and yet, it feels just right. Diamond Head is told in turns by the Leong women and it is a story of secrets. The secrets a family have kept and the ways they have been mangled by these secrets. A soaring family saga, this book is an I was very skeptical about this book because of the mixed reviews, but I am so glad I didn’t heed the advice of the negative reviewers. A soaring family saga, this book is an emotional rollercoaster, deeply engrossing and so true to life. Every member of the Leong family, especially Bohai, is engraved on my heart. It’s not a perfect book and I honestly found Theresa annoying, but Wong will have you grappling with all the issues these characters face. I usually like a good multi-generational family saga but DIAMOND HEAD fell short for me. For some reason I never got really invested in the story. There was something else that nagged at me and that was how dependent all the women seemed to be upon men. Maybe it was just the time period that was being covered but the female characters didn’t distinguish themselves in a way that satisfied me. I actually bought this book for my mom for Christmas but I snuck in a quick read before passing it on. I only got about 50 pages in, but it's due back now-- another one of those cases where I took too many books out of the library at once. Will definitely revisit this at some point in the future, because I'm already in love with the story! I borrowed this from the library, read the first chapter, and then didn't really feel inspired to pick it up again for a couple of weeks. I liked reading the descriptions of their homes and the foods they ate, and enjoyed reading about some of the Chinese traditions surrounding birth and death, but none of the characters intrigued me. I got the notice that the book was due back in 3 days and that I couldn't renew it because someone else had requested it. I figured I'd read what I could of it in t I borrowed this from the library, read the first chapter, and then didn't really feel inspired to pick it up again for a couple of weeks. I liked reading the descriptions of their homes and the foods they ate, and enjoyed reading about some of the Chinese traditions surrounding birth and death, but none of the characters intrigued me. I got the notice that the book was due back in 3 days and that I couldn't renew it because someone else had requested it. I figured I'd read what I could of it in the 3 days, then return it, and not worry if I didn't finish it. But then around page 100, the book grabbed my attention. I went from thinking, "Meh, I don't care if I read this or not," to "Ooh, I hope I finish!" I stayed up until 1 a.m. the night before it was due, finishing the book. Thank you to Goodreads and the publisher for a complimentary copy of Diamond Head. This is a debut novel by Cecily Wong, and I look forward to her future work. This was an engrossing multi-generational saga set primarily in Hawaii. The author writes with great description and atmosphere. Recommended read! The novelist’s writing appeared uninspiring during the opening scenes concerning Bohai’s funeral. I almost lost interest. However, I suggest you not give up. Cecily Wong’s story becomes rich and powerful, as she weaves imagery throughout third person point of view. Family matriarch, Lin Leong, reveals a strong voice in first person point of view. Lin vividly and memorably describes her life prior to and during her marriage to Frank Leong, a wealthy, magnetic and spontaneous businessman. He loved Lin more than any other woman. Wong’s writing revealed Lin had deep feelings and reactions, which were sensitive and heartfelt, much more than Amy when she spoke in first person. Like Amy, Lin grew up amid poverty. Lin was an only child whose father operated a ‘greasy spoon’ in China. He often expressed disappointment that Lin was not a male child. He battered her over the slightest annoyance. And her mother chronically complained Lin had damaged her womb during childbirth. But Lin was undaunted, resilient and unafraid of her father’s threats and survived the beatings. It seemed by fate Lin met her husband Frank in her father’s restaurant. During their first meeting, her battered appearance touched internal feelings from Frank’s childhood past. He immediately rescued her from her father, for a price. The two became deeply in love, and when Lin could not provide him a child, she elicited a concubine who bore their first son, Bohai. After the Boxers Rebellion, World I War appeared imminent. A respected, high-leveled businessman, Frank, remained neutral selling tanks and guns to the Brits and the Germans. Yet he became uncomfortable with the clouds of change on the horizon. So, he and his family, including his late brother’s wife, warm and faithful, Hong, migrated to Oahu, Hawaii, in the early 1900s. Bohai was five years old. There, Frank built a home for Lin to her specifications, and there, in Hawaii, Lin gave birth to a son, Kapai. The Leong’s became philanthropists, had a happy marriage, and family life in Hawaii. Years later, Lin discovered Amy for her son, Bohai, a brilliant, but shy and retiring young man, with an uneventful life. A marriage contract between families than individuals was probably still in effect in mainland China, but Amy had been born in Hawaii and did not speak Chinese, nor was she interested in marrying a Leong. She believed in the red string of fate, that two people connected by the red thread are destined lovers, regardless of place, time, or circumstances; a cord that stretches or tangles, but never breaks. She was in love with her fiancé, William, an electrical engineer, who was in the U. S. Army. Amy and her 10 siblings lived with their parents in a one room basement apartment in Honolulu. Her father, a photographer, spent most of his time in his studio in Waikiki. He ignored his burgeoning family. He believed his art was not about money and provided no excuses or felt ashamed when he made no money. He escaped the family daily. Yet Amy’s mother, Iris, could not escape, and realized too late the choice she had made; her marriage was never forged, never a great bond, and her left hand, ring-finger naked, without testament of their marriage. Amy decided not to make the same choice her mother had made. She wanted a better, more influential life, even if she sacrificed love with William for Bohai. Bohai, a shy man, loved her deeply, and expressed it in so many ways. I could not understand Amy’s lack of candidness, and how she could spend two decades with her loving and loyal husband, and never experienced emotional intimacy with him. In first person point of view, Theresa Leong, 19 years-old, pregnant and unmarried, appeared as a weak, spoiled, entitled, young woman, who disliked her mother, Amy. It was difficult to connect with Theresa, whom I dubbed inconsequential in this family of strong women. The surprise twists and turns are revealed in the secrets and betrayal that emerge in the Leong family, which begins with Frank. His fate, death by poisoning, was uneventful. I enjoyed reading Diamond Head, which provided brief excerpts of history concerning the Boxer Rebellion, Chinese culture and superstition. My favorite character was Lin Leong. It's a story that's mostly about women, Lin, Hong, Amy, and Theresa though Leong Fu/Frank, Bohai and Kaipo all make appearances. Even though this is a story centered around three generations of the Leong family -- it focuses on themes like love, independence, and decisions about the future. Each of the main characters makes a choice about who to love + marry, whether to pursue riches or not, and these choices combined with circumstances determine the future. Within the telling of I liked it a lot. Later, at the end, we read, "I have placed too much on fate, on chance, and not enough on destiny, on the difficulty of choosing....The choices that bring fear, that make us turn to fate...this, in fact, is destiny. This, for good or bad, we can control." While the legend is a nice narrative device, the interaction between all the characters and the opening up of the story of the Leongs is really where Diamond Head shines. It's a great addition contemporary Asian-American literature and there are several nods to the genesis of the story--in the letters from Ms. Wong and Harper (which accompany the ARC), in the Acknowledgements and even in the author biography. I think the author's essay, in particular, demonstrated her desire to write a story that would honor her own family and speak to others. And I think Cecily Wong has crafted her own work here, one that doesn't need to be compared to Amy Tan, Lisa See, etc. Because this is a work heavily based in Ms. Wong's unique family history, which she has fictionalized through years of hard work using her unique imagination and voice. If it were up to me, I'd include the author's essay in every book--it's a gem! I received an advanced copy of this book from the publisher Harper via Edelweiss in exchange for an honest review. The expected publication date is April 14th 2015. This was a really interesting story for me although I have to admit that it took me a while to get in to it. With the multi-generational stories and the alternating between time and stories I at first had a hard time keeping track of all of the characters. Once I straightened it all out the story began to hit it's groove. I was really conflicted about how I felt about this story. It was about fate and destiny and the ties that bond people together. On the one hand it was fascinating with the several stories that intertwined but on the other there were some characters I just couldn't warm up to. To be truthful it was only one character and that was Amy. Lets talk about Amy. In my mind she was completely selfish and lived in a world of self pity when things did not turn out the way she wanted. This can happen when all of your decisions revolve around money. I simply could not feel sorry for her or understand her point of view. I understand that there was a moment of redemption for her in the story but it simply was not enough for me. I found her cold and unfeeling and it made it difficult to go on her journey with her. Aside from her I found myself enjoying all of the other characters. I liked how their stories slowly unfolded as told through the various woman. I also enjoyed the historical backdrop in which the story took place. Overall this was an enjoyable read and I am glad that I had the opportunity to preview it. Diamond Head is a story of one family, the Leongs, told in three different time periods and two different countries. The family starts out in China where the patriarch, Frank builds a large shipping company. He is married to Lin and his sons are Bohai and Kopai. The second generation focuses most on Bohai and his wife Amy and third generation is the story of their daughter Theresa who is pregnant at 19. There are other characters that come in and out of the tale at different times and places but Diamond Head is a story of one family, the Leongs, told in three different time periods and two different countries. The family starts out in China where the patriarch, Frank builds a large shipping company. He is married to Lin and his sons are Bohai and Kopai. The second generation focuses most on Bohai and his wife Amy and third generation is the story of their daughter Theresa who is pregnant at 19. There are other characters that come in and out of the tale at different times and places but the book is about these core characters. I realize that what I just wrote sounds impossibly dry and I wish I didn’t because this book is anything but – it’s rich in detail about China and Hawaii and the characters are finely wrought. Ms. Wong has her readers get to know the people who inhabit the book slowly and carefully and their personalities are built piece by piece as you learn little bits about each one as they go through their lives. The characters live in dangerous times in both China as the Boxer Rebellion occurs and then after they move to Hawaii WWII draws the US in with that infamous attach on Pearl Harbor. It is more a book about family dynamics and relationships than it is a book about love and romance despite the existence of both within its pages. There are many a twist and turn and despite having finishing it I still feel that there are questions to be addressed. I am still thinking about these characters – they have stayed with me. Their stories so dramatic and so simple all at once. I do think there could be a sequel. I do hope there is a sequel. Read this whole book on my phone on the plane and loved it! My kind of book-- a sweeping family saga that takes you from Boxer Rebellion China to Oahu. The Leong family is full of secrets, compromises, fateful events told through three generations of Chinese women. A beautiful tribute to Hawaii in its early days. I will keep my eyes out for Cecily Wong in the future. Biggest joy at the end there is an interview between Wong and Celeste Ng! Books that span generations are my jam - this was so great at that, it's just not a perspective I've read before. Not sure if I really liked the way this book ended. It was a pretty good story, but kind of predictable. I thought this was a very sad story about people that couldn't be happy--until the last chapter! What a great turn around. Loved the characters even though there was so much disappointment. Powieść „Diamentowa góra” to zawarte w książce obyczajowej historyczne fakty, głównie opowiadające o dziejach Chin oraz Hawajów. Zawarta jest tutaj stara, wywodząca się z Chin Wyobraź sobie, że jesteś związany z konkretną osobą za pomocą niewidzialnej nici. Ta nić, choćby była niewyobrażalnie mocna i wytrwała – zawsze może zostać zerwana. Gdy tylko tak się stanie, na osoby połączone uczuciem, lecz nie czerwoną nicią przeznaczenia – spada klątwa, która może zniszczyć całe ich dotychczasowe życie. Cecily Wong est diplômée du Barnard College et habite actuellement à New York. Elle a publié dans le Wall Street Journal, LA Review of Books et Bustle. Son premier roman, Comme un ruban de soie rouge, sur lequel elle a travaillé pendant plus de cinq ans, est un voyage merveilleux de la Chine à Hawaï, dans lequel on suit l’ascension et les drames d’une famille rongée par les secrets et les amours tragiques. Dans cette saga familiale qui témoigne d’une époustouflante maîtrise romanesque, Cecily Won Cecily Wong est diplômée du Barnard College et habite actuellement à New York. Elle a publié dans le Wall Street Journal, LA Review of Books et Bustle. Son premier roman, Comme un ruban de soie rouge, sur lequel elle a travaillé pendant plus de cinq ans, est un voyage merveilleux de la Chine à Hawaï, dans lequel on suit l’ascension et les drames d’une famille rongée par les secrets et les amours tragiques. Dans cette saga familiale qui témoigne d’une époustouflante maîtrise romanesque, Cecily Wong donne vie à une constellation de personnages tous plus intrigants et captivants les uns que les autres. Stoïques ou aigries, pour certaines, mais toujours éperdument amoureuses et auréolées de mystère, les femmes du roman de Cecily Wong racontent chacune un pan de leur existence, comme si elles livraient, chuchotant à l'oreille du lecteur, une part du secret qui a ravagé leur vie et celle de leurs proches… Parce qu’elles refusent le sort qui leur est destiné, parce qu’elles ont soif d’amour et de bonheur, Lin, Amy et Theresa vont devoir payer un lourd tribut et surmonter de terribles épreuves… Amours, drames, mais aussi colère, amertume et jalousie, leurs vies sont aussi captivantes qu’une tragédie grecque ! Pour autant, s’il est intéressant, le roman de Cecily Wong n’est pas parfait ! Son récit souffre parfois de longueurs, de passages nébuleux (que l’on attribuera plus probablement à l’écriture poétique de l’auteure qu’à un souci de traduction), et on s’interroge parfois sur les liens, complexes, qui unissent les personnages féminins du roman, ainsi que sur les conséquences de leurs actes… Cependant, il serait bien malvenu de critiquer l'auteure pour avoir su, finalement, imbriquer de manière aussi troublante et aussi bouleversante, les destins d’héroïnes aussi inoubliables que Lin, Amy et Theresa ! Car, en conclusion, Comme un ruban de soie rouge est un roman qui se mérite. While I was in the airport in Maui getting ready to board the flight back to Oregon I stopped in at the little travel shop looking for a book to entertain me on the flight home. I was attracted by the cover and was more impressed and intrigued by reading the back cover. This was a story I could get into and if Celeste No recommended it I knew I wouldn’t go wrong. It was everything and more than I expected. The characters were alive and totally convincing. The Chinese and Hawaiian history, culture and traditions were new to me and fascinating! I related immediately to the concept of fate and destiny within my own life and found myself reflecting on my family history and the choices we have made that led us to this day. This book started out strong, but unfortunately lost it's way in a confusion of character perspectives and time frames. A family saga of Chinese immigrants to Hawaii, it covers the early twentieth century to 1964. It beautifully evokes the sights and smells of Hawaii, the foods and the gardens. There are individual stories that deserve their own book, and others, particularly the daughter in the more modern time, that seem out of place. In the end I was only reading it to finish, suspecting that This book started out strong, but unfortunately lost it's way in a confusion of character perspectives and time frames. 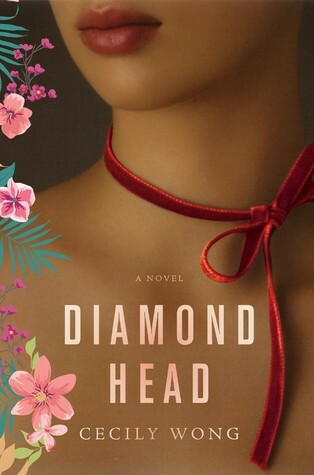 Cecily Wong is the author of the novel, Diamond Head, a Barnes and Noble Discover Great New Writers Selection. Her work has appeared in The Wall Street Journal, The LA Review of Books, Self Magazine, Bustle, and elsewhere. She is a graduate of Barnard College and lives and writes in New York.